Following the success of their recent S/S 2015 Collection showcase at the prestigious PFDC Sunsilk Fashion Week 2015, leading high street brand BeechTree inaugurated its brand new store at Dolmen Mall, Clifton, Designer Avenue, 2nd floor. The new store is home to the brand’s entire product range including pret, luxury pret, BeechTree’s 2015 PFDC Collection “Porcelain Dreams” alongside the brand’s debut Limited Edition unstitched lawn SS 2015 collection. On trend accessories, bags and footwear are also part of the product line up. The new store was launched via an on ground media event that was attended by notable socialites, media personalities and esteemed members of the press. 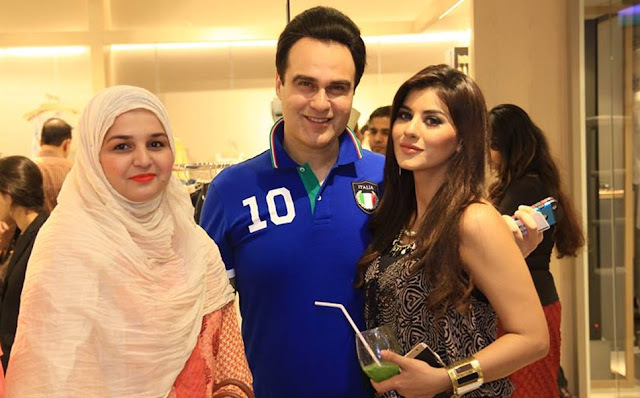 At the launch, the brand also presented its Spring/Summer 2015 collection via an exclusive fashion presentation with hair and makeup by the creative team of ‘N-pro by Nabila’. Speaking about the launch of their new store, Brand Manager Kehkashan Raza said, “We are excited at the launch of our 3rd Store in Karachi – indeed this launch is a manifestation of our commitment to growth and retail accessibility as a fast fashion, high street brand. We are fortunate to have garnered a large and loyal following from high street shoppers and our design team is constantly exploring new product avenues to keeping the brand interesting, relevant and wearable. One such avenue for instance is our S/S 15 Limited Edition Unstitched Lawn collection which is now available at all our stores in Pakistan. At BeechTree we endeavor to create fashion that is trendy, chic and easy on the pocket”. BeechTree is a fast fashion, high street brand making modern and trendy clothes that are easy on the pocket. Within a span of few years, the brand has emerged as a leading women’s wear brand in the local apparel industry since its inception in March 2010. BeechTree is the brain child of Shehryar Buksh of HKB Stores, who foresaw the need of an affordable label for the huge customer base visiting the parent store (HKB). Managed by Kehkashan Raza, an experienced textile professional, BeechTree has grown tremendously over the past five years with 10 outlets in all the major cities of Pakistan. 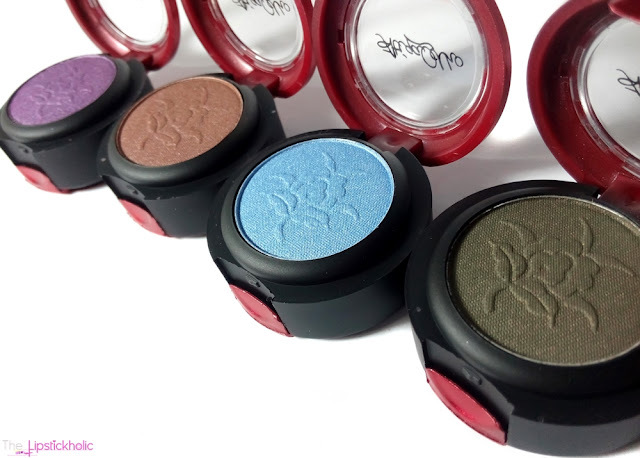 Review: Odho Cosmetics Single Pressed Eye Shadows...!!! Starting with the packaging, these eye shadows come in a small yet cute odho cosmetics signature red colored plastic compact. They have an embossed flowery pattern on them which looks cute. The name of each eye shadow is written at the bottom of the compact and you can also see the actual color of eye shadow through the upper transparent lid. The bottom of each compact also opens and has a mirror which can be useful at times. These eye shadows are fairly pigmented. The color payoff is pretty decent even without using a primer and pigmentation is buildable. The bronze (Love Potion) and purple (Intrigue) shades have satin like finish. The light sky blue shimmery shade (Blue Poppy) is the most pigmented of all but it does feel slightly chalky. The last army green shade (Queen of night) has matte finish. It compliments brown eyes so well and makes them pop. I have been wearing this shade quite a lot. It is perfect to use in crease and is great for a smokey eye or night time look. All the shades have soft texture. They apply and blend very easily. However, soft texture leads to some fall out in the compact. I also experienced some minor fall out with these eye shadows during application especially with the matte shade. The staying power of these eye shadows is pretty nice and these stay on my eyes without creasing for 6-7 hours or more, almost till the end of the day. Here are the swatches of the four gorgeous shades. Overall, these eye shadows are pretty great for the price. Honestly, I was not expecting much but these have performed pretty well for me. Despite some minor cons, I think these eye shadows are pretty good for the price. I really like the finish of the satin shades and love the green matte shade too. If you are an eye makeup lover and love experimenting with colors to create different eye looks, you should definitely check these out. I will be using these in my future eye looks for sure. Price & Availability: Odho Cosmetics Single Pressed Eye Shadows (ASPE) are available at selected stores in many cities of Pakistan for Rs 250/- each. Price may slightly vary (depending on your location). For further information on the brand and its products, join Odho Cosmetics on Facebook. Hope you all are doing great. 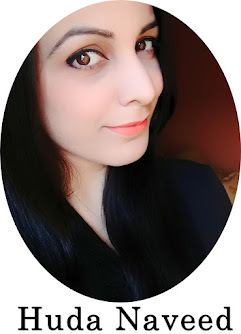 Last week I wrote an introductory post on PHB Ethical Beauty products that are exclusively available in Pakistan at Halal-Certified Cosmetics Pakistan. You can read the post here for a brief introduction on the brand and its products. Today, I will be sharing my reviews and swatches of those products that I shared with you in my first post. So no more talking and let's get to the review and see what I have to say about these PHB Ethical Beauty products. PHB Ethical Beauty Mineral Eyeshadow "Moroccan Earth"
The mineral eye shadow is available in 14 gorgeous shades. The shade that I got is "Moroccan Earth" which is a beautiful satin bronze shade with some very fine gold shimmer in it. This eye shadow feels so so soooo silky smooth. I haven't seen any eye shadow with such silk like touch before. This eye shadow is very pigmented. It applies and blends so easily. The mineral loose eye shadow comes in a sturdy and sleek packaging with lockable sifter. The sifter twists and locks the lid and prevents the product from falling. Since its a loose mineral eye shadow, I experienced minor fall out while applying it but nothing too bothersome. The staying power of this eye shadow is pretty impressive too and it stays on my eyes easily (without any primer) till evening without creasing. PHB Ethical Beauty Natural Lipstick "Petal"
PHB Ethical Beauty Natural Lip Gloss "Sugar Plum"
PHB Ethical Beauty Natural Lipstick and Lip Gloss looks very natural and subtle. The natural lipstick in shade "Petal" is a brownish pink shade with slightly metallic finish. Am not really a fan of metallic finish but the finish of this lipstick looks really subtle and the shade is very wearable. It looks more like a MLBB (my lips but better) shade on me. The lipstick is not very creamy but it isn't drying either. It feels comfortable to wear and feels a bit moisturizing. It just sticks to my lips and stays there for about 3-4 hours (with minimal eating or drinking). Even after the color fades away, my lips feel moisturized. The "Sugar Plum" natural lip gloss is a milky pink shade. It looks quite sheer when applied on the lips. It has a strange annoying smell but am glad it doesn't feel tacky or sticky. It feels really hydrating and actually nourishes the lips. Left: Natural Lipstick in shade "Petal" Right: Natural Lip Gloss in shade "Sugar Plum"
PHB Ethical beauty mineral foundation is made with all natural ingredients. It is great for those with sensitive skin. This foundation comes in a nice sturdy jar with a lockable sifter just like the mineral eyeshadow. This is the first ever mineral foundation that I have tried and I must say that I LOVE it. It has very soft texture that blends so easily. It feels so lightweight and provides that perfect natural looking finish. The shade that I got is Medium Rose. When I first swatched it on arm it seemed a bit darker for my skin tone and I thought oh no... I have got the wrong shade again but once I applied it on my face, it looked so natural and perfectly matched my skin tone. PHB Ethical mineral foundation feels so natural and adopts to match my skin tone. It blends so easily and provides almost full coverage. Luckily, it doesn't oxidize which is great. This foundation is very easy to use. You just need to take a little amount of powder on your brush and lightly dust it all over your face. You can always apply more to get even better coverage. This foundation is great for all skin types but perhaps those with extremely oily skin might not like this in summers as it tends to melt and makes the t-zone look oily. I have dry/combination skin which gets slightly oily in summers. This foundation doesn't accentuate any dryness on my skin. The finish it provides is kinda matte which turns semi-matte after a while. After few hours of wear, my t-zones starts to look a little bit shiny but the rest of my face still looks matte and perfect. It stays on my face almost till the end of the day. I love how this foundation feels on my skin, lets my skin breath and provides that perfect finish and coverage so easily. I never thought I would love a powder foundation so much but this one is totally amazing. In the picture below, I have applied a fine layer of PHB Ethical Beauty Mineral Foundation in Med Rose using my RT Buffing Brush. You can apply it using any powder brush or kabuki brush. I haven't applied any concealer, blusher or anything else on my face (other than brow powder) and look how amazing the coverage is. Before and After results of PHB Ethical Beauty Mineral Foundation in "Medium Rose"
I got three PHB Ethical Beauty Moisturizers samples along with the makeup products. Like all other products, these moisturizers are also made from naturally derived ingredients. One is Gentle Moisturizer that has Shea Butter and apricot in it. Its great for those with sensitive skin. The second one is brightening moisturizer that has Immortelle, Argan & Licorice in it. It rejuvenates and brightens the skin and is pretty great for almost all skin types. I used the anti aging one with Monoi Oils and Gardenia flowers on my Mom and her skin felt quite softer and well moisturized afterwards. Since I have tried just once sachet of these moisturizers so I can't actually tell much about these but yes these do feel nice on the skin and moisturize the skin really well. Overall, am quite pleased with the performance of PHB Ethical Beauty products. The only product that didn't really impress me was the natural lip gloss as it was too sheer and had a weird smell. Other than that, I love all the products that I have tried so far. I am so loving the mineral foundation and the mineral eyeshadow is really lovely too. The PHB natural lipstick is pretty nice for everyday use and this shade petal is such a lovely MLBB shade. The price of these products is a little steep but considering the fact that it is an international Halal-certified brand that uses all natural ingredients in its products, I think these are worth the money. I always encourage using organic and halal-certified makeup brands and I recommend you to try PHB Ethical Beauty products too. Price & Availability: PHB Ethical Beauty products are available in Pakistan at Halal-Certified Cosmetics Pakistan. They are selling PHB Beauty products at almost retail prices at the moment. The Mineral Eyeshadow is priced at Rs 2000, Natural Lipstick and Lip gloss at Rs 2350 and Mineral Foundation at Rs 3050. Don't forget to visit the page for more information on Halal Cosmetics. 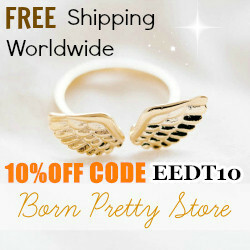 For international readers, these products are also available online at PHB Ethical Beauty Website. The Mineral Eye Shadow for £11.95, Natural Lipstick and Lip Gloss at £14.50 and Mineral foundation for £18.95. Review: Makeup Revolution I Heart Makeup The Wow Sticks...!!! Hope you all are doing well. Today I will be reviewing Makeup Revolution I Heart Makeup The Wow Sticks also known as Super Wow Lip Color Sticks. These wow sticks come in 8 gorgeous shades but in Pakistan these are available in 4 shades only. I have been using these wow sticks in all four shades available in Pakistan quite a lot this month. So let's get to the review and see what I have to say about these Wow Sticks by one of favorite drugstore brands, Makeup Revolution. Makeup Revolution I Heart Makeup The Wow Sticks come in sleek black thin twistable crayon like packaging. The packaging is travel-friendly and you can easily carry these along with you in your bag. Each wow stick also comes with a cardboard outer box that has the name, ingredients and other relevant product information printed on it. Sadly, the names of the wow sticks are not mentioned on the inner black twistable crayons and you have to actually open the lid of the sticks to see the color. Therefore, I suggest keeping them in their outer boxes so that you can see the names easily and don't mix them up. Makeup revolution wow sticks are highly-pigmented. These provide fully opaque coverage in just one swipe. The texture of these wow sticks is creamy. These apply smoothly on lips without tugging and provide perfect velvety matte finish. However, these have slight tendency to accentuate fine lines on the lips (like all completely matte lip colors) and few shades can feel more drying, look flaky or crumbly upon over-layering. But that was not something really bothersome for me. I really really really love the pigmentation, lasting power and lovely matte finish of these wow sticks. Now I will be sharing my thoughts on all of these shades individually along with their swatches. Starting with hanging on the telephone. It is a beautiful rosy pink shade with some very fine shimmer in it. On my lips, it appears as bright rosy pink shade with some hint of red. I so love this shade. Its so versatile and I have been wearing it so often. This particular shade is somehow less pigmented than the other 3 shades but the pigmentation is still good enough. Although it has some very fine shimmer in it but the finish it provides is still matte. This one sticks to my lips and stays there for about 5-6 hours or sometimes even more. It lasts me through one meal and then leaves behind a nice pink stain that lasts till the end of the day. Overall, its a really nice matte pink shade that I really like. Makeup Revolution I Heart Makeup The Wow Stick "Hanging on the Telephone"
Call me is a gorgeous red shade with neutral undertones. This has to be my favorite shade among all. It is such a beautiful red that will flatter all skin tones. It has perfect velvety matte finish. It feels very comfortable on the lips, doesn't accentuate much fine lines and doesn't feel much drying either. The lasting power of this shade is pretty impressive too and it lasts on my lips almost all day long. It even lasts through full greasy meals. Even when I feel the color has slightly started to fade from middle, I rub my lips gently and the color becomes even again and lasts till the end of the day. I so love this shade, as it is very pigmented, has that perfect matte finish that stays on my lips all day long. Overall, this is what I call a perfect red lip color. Makeup Revolution I Heart Makeup The Wow Stick "Call Me"
Atomic:Makeup Revolution I Heart Makeup Wow Stick Atomic is my second favorite shade from this range. It is a lovely bright orange shade. The shade looks quite vibrant and almost neon in the swatch but it is actually very wearable. It has completely matte velvety finish and immediately brightens up my face. I found this shade to be the most drying on my lips and it also has slight tendency to crumble and accentuate fine lines on the lips because of its drying feel and texture. However, I still love this shade and its finish. This is the only orange shade that has won my heart and has given me the courage to wear such kind of shades. Lasting power of this shade is pretty decent too and it lasts on my lips for about 5 hours or more (with minimal eating and drinking). 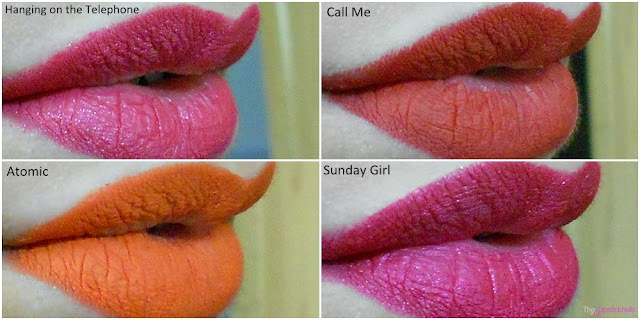 Makeup Revolution I Heart Makeup The Wow Stick "Atomic"
The shade Sunday Girl is a bright blue-based pink shade. It looks quite similar to the shade "Hanging on the Telephone" in the tube. When applied on lips, it looks slightly different and appears as a bright blue-based pink with some hint of fuchsia. This one also has some fine shimmer in it which isn't much noticeable once you apply the color on lips. This one also has pretty impressive staying power and lasts on my lips almost all day long. The top velvety layer kinda fades once you eat or drink something but even after that it leaves behind a nice matte pink stain that lasts on my lips till the end of the day. Makeup Revolution I Heart Makeup The Wow Stick "Sunday Girl"
At the end here are the swatches of all the four shades that I have reviewed. Overall, these Makeup Revolution Wow Sticks have really WOWED me with their pigmentation, texture and longevity. Despite some minor cons, I am super impressed with these. These are undoubtedly the longest lasting lip colors I have ever tried so far. I so love the velvety matte finish of these wow sticks. For the price, these really are amazing and I DEFINITELY recommend you to try these especially if you are a fan of long-lasting lip colors with perfect matte finish. Price & Availability: Makeup Revolution Wow Sticks are available online at Just4girls.pk and Daraz.pk for Rs 550/- each only. Also available online at Makeup Revolution website (HERE) for £2.99 each. MANGO, the most contemporary and innovative fashion brand, invited His Excellency Javier Carbajosa Sanchez, the Ambassador for Spain in Pakistan, to launch its third store in the country, and presented its vast range of spring, summer collection 2015 at the Centaurus Mall in Islamabad. The evening began with a fashion presentation by MANGO. Women and young socialites were invited to join the competition ‘Outfit of the Day’ where they dressed up in a glam outfit, selected from the MANGO store in the lowest possible budget. Claire Shields, the spokesperson for Mango UAE, Lebanon and Pakistan briefed media and guests about the new spring summer collection for 2015 for MANGO. This season MANGO is all about the 70’s; approaching romanticism, bohemian and carefree style through the black, brown and white lines. On the other hand, the most energetic part of the collection is expressed via the pinks, reds, blues and greens, adding a touch of fantasy to knitwear fabrics with compact stripes and amusing prints. “In Pakistan we have 3 MANGO stores one in each metro city (Karachi, Lahore and Islamabad) and we are looking to expand the number of outlets as well as bringing in a Mango Man Collection,” said Abid Umer - CEO MANGO (Pakistan). MANGO is a concept based on an alliance between a quality product with an original design and a coherent and unified brand image. The brand specializes in dressing the urban/modern woman and meeting her daily needs. MANGO is a prestigious multinational company which designs, manufactures and markets clothing and clothing accessories. At present, MANGO has over 9,000 employees, 2,000 of whom work at its Headquarters in Palau Solita I Plegamans (Barcelona). The constant growth of MANGO continues to increase the number of stores, and we now have over 2,000 stores in more than 100 countries. Hope you all are doing great. Being a Muslim blogger, am concerned about the ingredients used in the makeup or skincare products that I use. I am always on the hunt to find vegan, organic and HALAL makeup/skin care brands. Luckily I got the chance to try few products from a new international HALAL beauty brand named "PHB Ethical Beauty". PHB stands for Pure, Health and Beauty and this brand provides a wide range of all vegan, cruelty free and halal makeup, skincare and hair care products. Thanks to Facebook page Halal-Certified Cosmetics Pakistan for making PHB Ethical Beauty products available in Pakistan for us. PHB Ethical Beauty is a UK based brand. The brand was founded by a young, 18 years old ambitious girl named "Rose Brown". Rose Brown was aware of the negative effects of harmful unethical ingredients used in beauty and makeup products. Such ingredients are not only harmful for our skin and health, but they also cause harm to earth and other species. That is why in 2012, Rose Brown launched a complete range of products that were made using natural formulas and ethically sourced ingredients. PHB Ethical Beauty now provides a wide range of cosmetics, skin care, hair care and other health and beauty products that are natural, vegan and halal certified. Despite being a new brand, PHB Ethical Beauty has established its name internationally and is selling its products in more than 15 countries across the globe. PHB Natural Lipstick in shade "Petal"
PHB Natural Lip Gloss in shade "Sugar Plum"
PHB Mineral Foundation in "Med Rose"
PHB Mineral Eye Shadow in "Moroccan Earth"
PHB Natural Lipstick and Lip Glosses are natural, vegan and cruelty free.They are free of Parabens, Alcohol, Gluten and Nano Particles. The shades that I got are very subtle and wearable. The packaging of these products is nice and classy. I will be sharing the swatches along with my thoughts on these in my review post soon. I got the PHB mineral foundation in shade Medium Rose. This is a 100% mineral foundation that also has SPF15 in it. It is said to be great for those with sensitive skin. I usually avoid loose powder products as they tend to get every where and can be messy but that's not the case with this one. It comes with a lockable sifter and you can twist and lock the upper lid after using the foundation. I never knew I would ever love a mineral powder foundation so much but I have to admit that this foundation is really amazing. I will be sharing my thoughts on this foundation with swatches and pictures in my review post on PHB Ethical Beauty Products. PHB mineral eye shadow is available in 14 gorgeous shades. I got the shade "Moroccan Earth" which is absolutely gorgeous. I will be sharing its swatch with you in the review post. The packaging of this eye shadow is similar to the mineral foundation and it also comes with a lockable sifter. The eye shadow is said to be made of 100% natural ingredients that are gentle on eyes and skin. I got three moisturizer samples to try along with the makeup products. The gentle moisturizer is great for those with sensitive skin. The brightening one contains Licorice and Immortelle that brightens the skin. The anti-aging moisturizer is great for those with dry, dull or aging skin. It is made with Monoï Oil and Gardenia Flowers that enhance collagen and elastin production and provide firmer skin. All the moisturizers are free from parabens and harmful chemicals. I am currently testing all of these products and will be sharing my thoughts on these IA soon in a detailed review post. 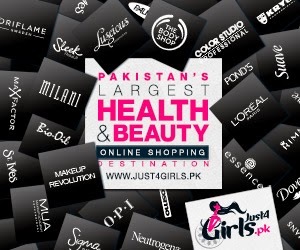 Price & Availability: In Pakistan, PHB Ethical Beauty products are available online at Halal-Certified Cosmetics Pakistan. The price range of these products is between Rs 2300 to 3200. Don't forget to join the page for more updates on Halal Cosmetics. For further details on PHB Ethical Beauty Products visit brand's website. 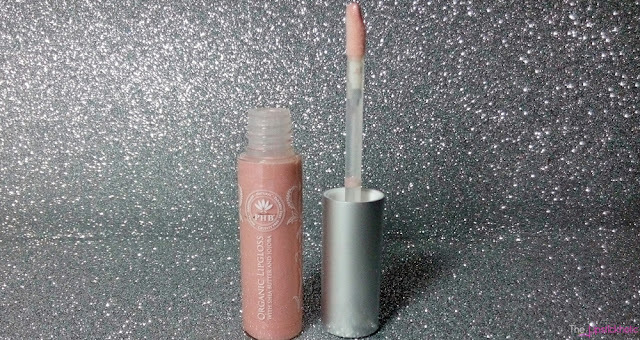 Review: Yves Rocher Sheer Botanical Lipstick in Rose Vif...!!! Hope you all are doing well. Today am going to review Yves Rocher Sheer Botanical Lipstick in shade "Rose Vif". Yves Rocher is an international brand that offers a great variety of botanical/natural makeup and beauty products. They grow their own botanical gardens and use ingredients derived from those plants in their products. Thanks to Facebook page House of Beauty who had this lipstick in stock, I finally got the chance to try my first ever Yves Rocher Lipstick. Yves Rocher Sheer Botanical Lipstick is enriched with cherry oil that nourishes and protects the lips. Let's just get to the review and see what I have to say about this cute little lipstick. Yves Rocher Sheer Botanical Lipstick in "Rose Vif"
Yves Rocher Sheer Botanical Lipstick is very creamy and applies so smoothly. It feels very moisturizing on the lips and keeps my lips hydrated for many hours. It is great for those with dried or chapped lips. This lipstick feels very lightweight and its texture melts onto lips just like a balm. It is fairly pigmented and provides sheer to medium yet buildable coverage. The finish this lipstick provides is glossy/shiny. I am not a fan of lipsticks with glossy finish but this one adds a really subtle, natural looking sheen to the lips and doesn't feel tacky. I really like how this lipstick feels on my lips and provides them with long-lasting hydration. The shade "Rose Vif" is a sheer bright pink shade with some hint of fuchsia. The shade is so gorgeous and it instantly brightens up my face. Another great thing about this lipstick is its scent. It smells really yum. The staying power of this lipstick is not very remarkable though and it lasts on my lips for about 2-3 hours only. However, it does keep my lips hydrated for many hours and leaves them feeling soft and supple. I don't mind reapplying this lipstick as it hydrates and nourishes the lips like a lip balm and smells so delicious. To sum it up, Yves Rocher Sheer Botanical Lipstick lives up to its claim. It hydrates and nourishes the lips and provides a natural looking glossy finish. It feels very lightweight and comfortable to wear. I really wish it had better staying power but I love how it smells and I don't mind reapplying it after few hours. If you are looking for a lipstick that hydrates and nourishes the lips and provides subtle glossy finish then you should definitely check this one out. Price & Availability: In Pakistan, Yves Rocher Sheer Botanical Lipstick is available for Rs 1250/- at facebook page House of Beauty. Available in 12 glossy colors. For international readers, this lipstick is available at Yves Rocher website for £12.90.